I love bank holidays especially now I fill them with fun events with friends.This May day weekend was no exception. This year was the 10th Anniversary and the 4th year I would be running it, along with many other Lynnsport Ladybirds and Ryston Runners in fact it was a total sell out with over 1500 runners. 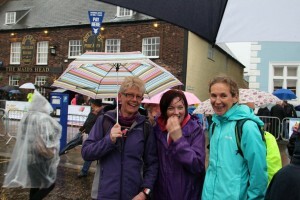 Even the predicted bad weather could not stop the excitement building! 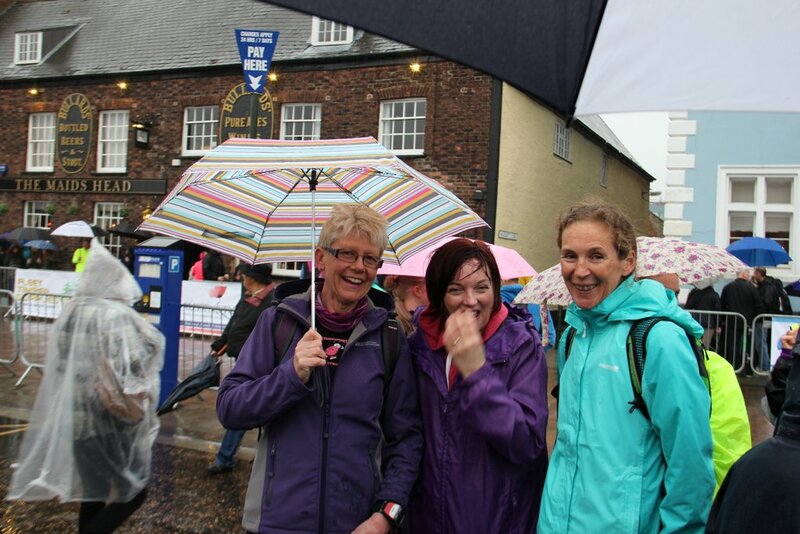 By the time we had walked into town the predicted wet weather had arrived, I have never seen so many umbrellas at a running event, the atmosphere was amazing though and not even the pouring rain was going to spoil the day. Finally it was time to gather in the starting pens, so off with the jackets and away with the umbrellas amongst much talk about how mad we all must be! then horror as 10.45 came and went with no starting gun, the roads were now becoming quite flooded and we were all eager to be on our way then 10 mins later looking like drowned rats we were off….. 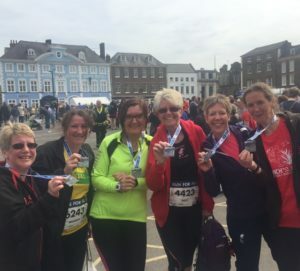 This entry was posted in 10km, GEAR 10k, Ladybirds on May 8, 2015 by Sally. Start of the silly season! 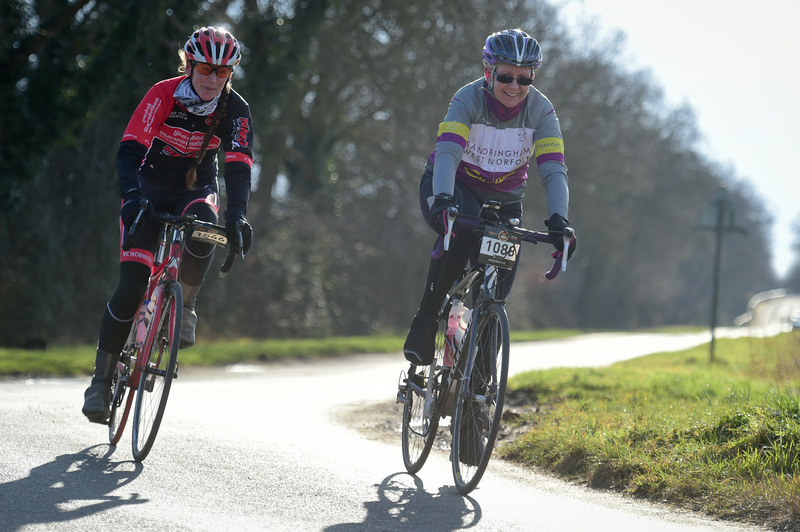 February 21st saw the start of the Bike Sportive season for most of us, with the Wiggle No excuses sportive from Huntingdon race course and a huge group from my biking club turned out for this ride in cold windy conditions. This entry was posted in Biking, GEAR 10k, Running, Sportive, SWNC on February 27, 2015 by Sally. Another fabulous GEAR 10km Run, made more fun by the great atmosphere,sunny weather and the support/encouragement of all the lovely ladybirds. 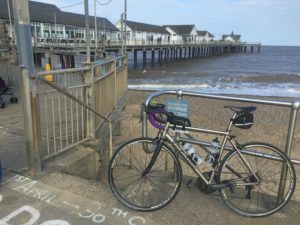 I had no plans for this run as I was happy with my P/B from Lincoln, which I thought I would find hard to beat. On the morning of the run it was lovely to see so many people, all wishing me good luck and extra special for me was having Geoff here with me, adding his support, so the excitement just grew and grew…..
Three quarters of the way round and I thought I was dying it had become very warm and I knew I was pushing myself hard because suddenly I wanted that P/B time. 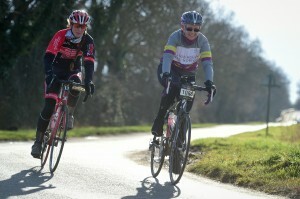 Totally delighted with my time of 56.45 and a new P/B. 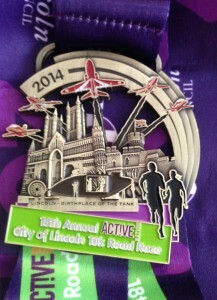 This entry was posted in GEAR 10k, Running on May 19, 2014 by Sally. 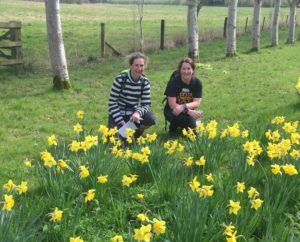 After doing the Rutland Alps then the Daffodil Dawdle my next day out was going to be a running one, The Lincoln 10K Road Race. I don’t do running events very often because I get so nervous but when my number arrived and I discovered that it was Purple I just knew I was meant to do this run. Doing it with 2 friends who had tons of confidence in me certainly helped the nerves too. 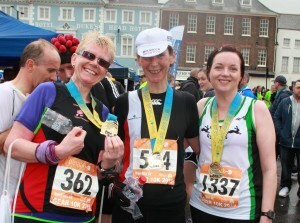 5000 runners entered the Lincoln 10k and it was totally amazing, the whole route was lined with people cheering you on and the finish was spectacular even though the cobbles were hard to run over. I did this run to experience the crowds, running with 5000 other people and the medal, which is pure bling, what I never expected, was getting a P/B time of 57.31, as I ran up towards the castle I could see the finishing clock and thought they must have the time wrong !!! This entry was posted in GEAR 10k, Running on May 1, 2014 by Sally. 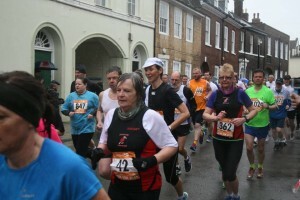 1700 runners took part and the atmosphere was brilliant,crowds of people lined the streets cheering you on at every corner. Geoff was also there to support me, which really made my day and he took some great photos. There was a time last year when I thought myÂ Achilles would never get better and I would never run again but eventually around Christmas time I started back with some gentle runs. 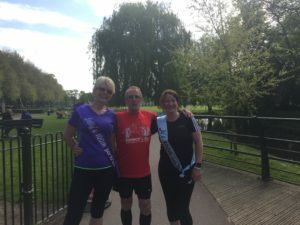 Then I joined The Lynnsport Ladybirds running club,at first I found it hard especially as I was used to running on my own,but I soon settled in and for the first time ever I started to meet people from around Kings Lynn. I was soon back up to running 6 miles but was veryÂ paranoidÂ about myÂ Achilles, it does ache at times but thankfully I have learnt to rest it between runs and the aching soon goes away. This run was amazing for me, I am so happy to be back running, I want to run longer distance but must confess that I am scared I may upset myÂ AchillesÂ again and I dont want any more injuries! 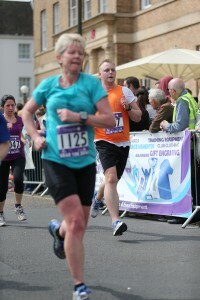 This entry was posted in GEAR 10k, Running on May 8, 2013 by Sally.